Do you need stability and control in any condition? Do you need a dependable fairway driver? The Spark is the number one choice for you if you have answered YES to those two questions. Designed to be the work horse for accurate fairway drives, you can rely on the Spark's dependable fade and stable performance in the air. The Spark is useful in many ways and is perfect for thumbers and forehand shots. 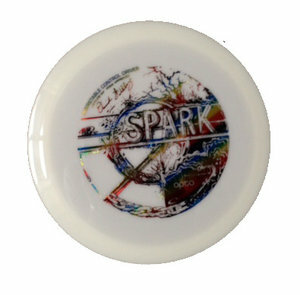 The Spark is David Feldberg's new signature disc.